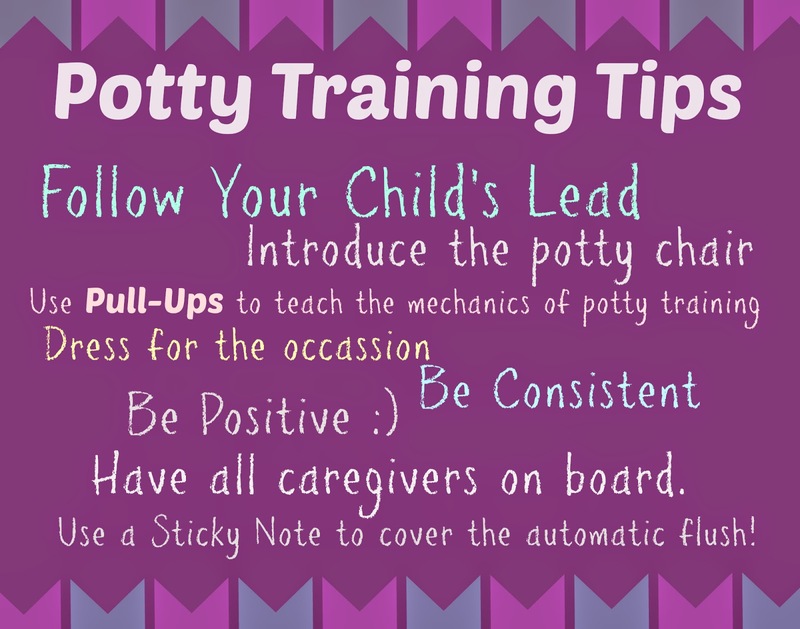 Why Pull-Ups are the way to potty training success! A little PSA from the good folks at Family Love In My City. I talked last week about some tips and tricks when potty training, but today I wanted to talk about the benefits of Pull-Ups® Training Pants and why we love them so much. Pull-Ups® Training Pants are ready when you are and come in three sizes: 2T–3T (18- 34 lbs. ); 3T–4T (32–40 lbs.) and 4T–5T (38+ lbs. ), for those early or later starters. And don't forget NightTime Training Pants, available in two sizes: 2T-3T and 3T-4T. They are fun and designed with familiar Disney characters making them exciting for your little one to put on and pull down! Pull-Ups® have stretchy sides that teach the child the skill of pulling down and up. It is definitely a skill that they need to master! Lastly, they offer the right amount of protection and consistency for training. They are a perfect solution when you are out running errands, out exploring on a playdate or dropping older kids off at school. And what makes us love this brand is their dedication to your child's success! Pull-Ups are proven to deliver potty training success. Where else can your toddler get a call from Mike or Sully from Monster's University? Huggies offers the Pull-Ups website where you can find activities, celebrations, resources and offers! There is also a Pull-Ups Big Kid App that will allow you to do everything the website can. Set up a profile, use the timer, track rewards, set up a Nighttime Checklist or a call from Disney characters. Customize your celebration of the first and every flush! I know that potty training can be a bit overwhelming, so take your time, review these tips and know that you are not alone. Huggies Pull-Ups and millions of other moms are on your side!